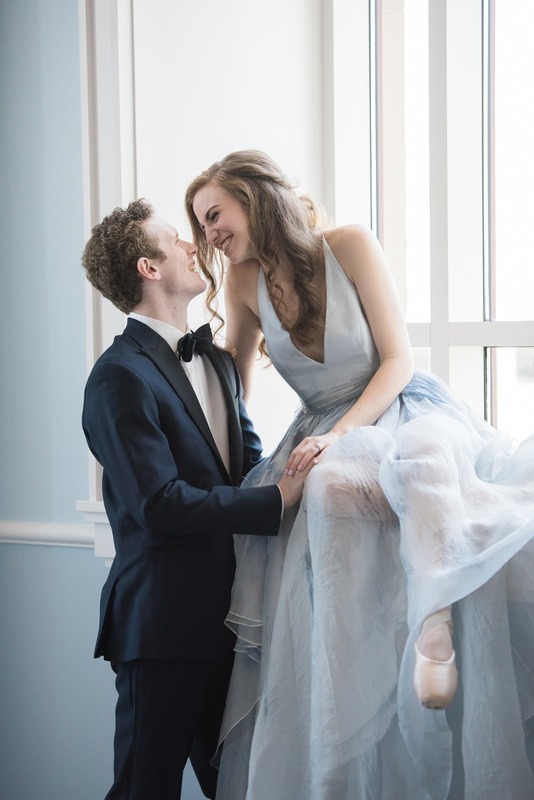 He's a professional ballet dancer and so is she, and Paul and Megan danced their way into each other's hearts. 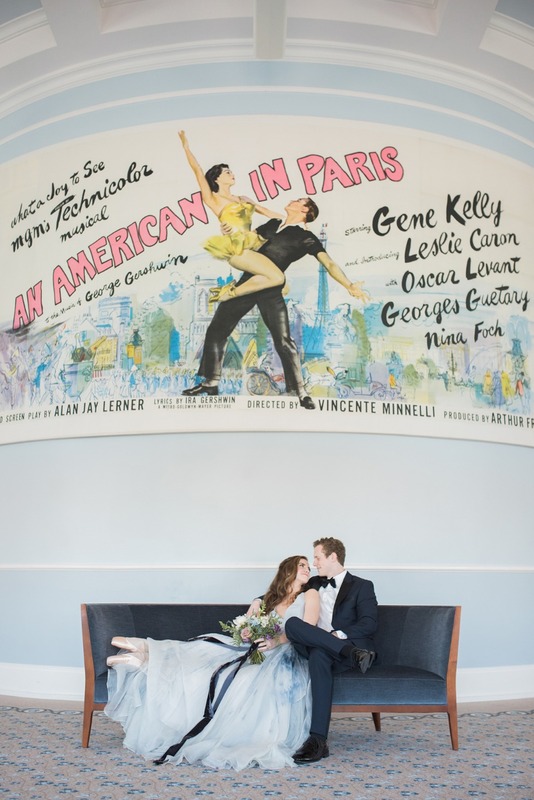 Now if that isn't a perfect meet-cute we don't know what is! 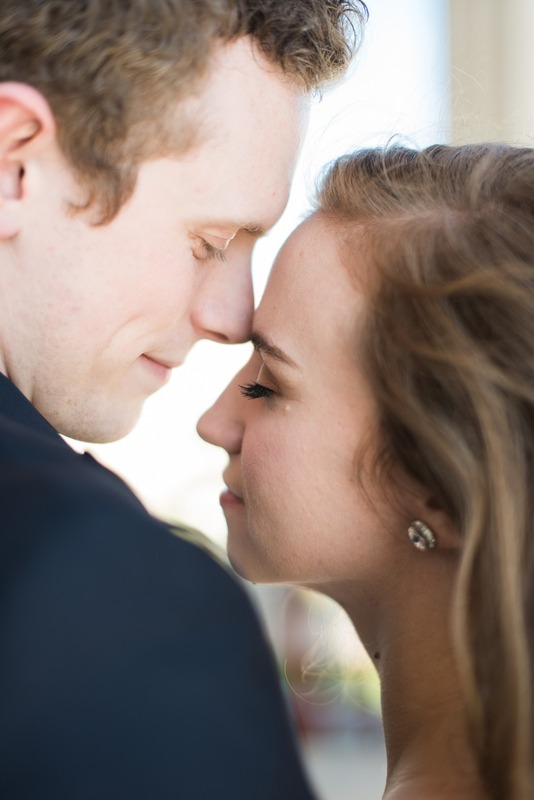 So when they were organizing their engagement shoot they, of course, needed to include their shared passion. 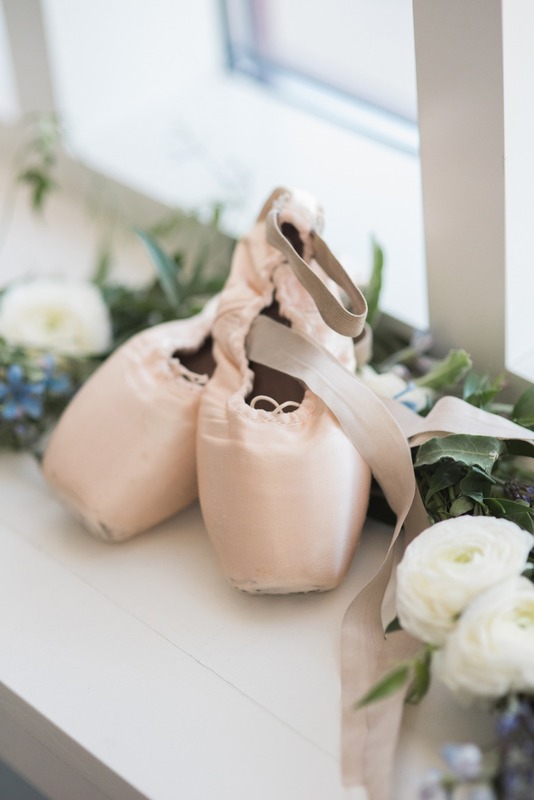 Below you'll find some gorgeous photos of these performers in love and if you need to see more, and we think you will, there is a full gallery of images from Rachael Foster Photography for you to flip through for even more engaging ideas. 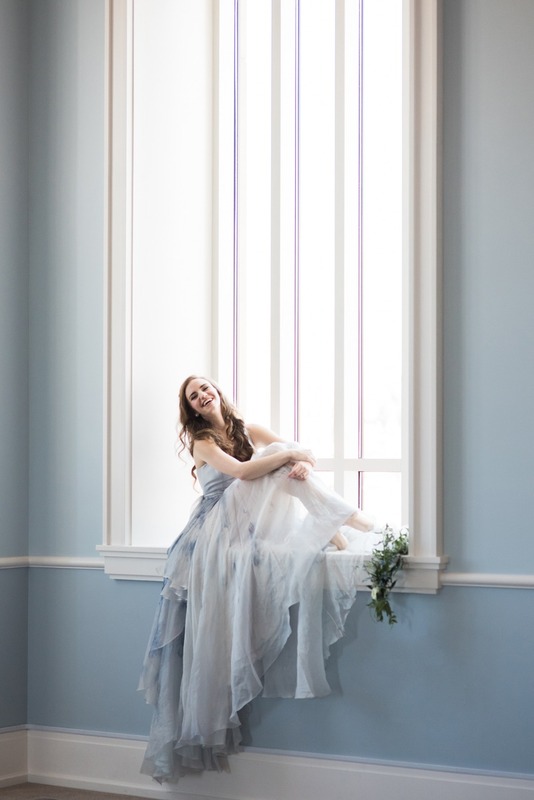 The love story behind this shoot started when Megan joined Ballet Arkansas, her first professional ballet company. Paul was already part of the company, and he noticed her right away for both her warm personality and the beauty of her dancing. 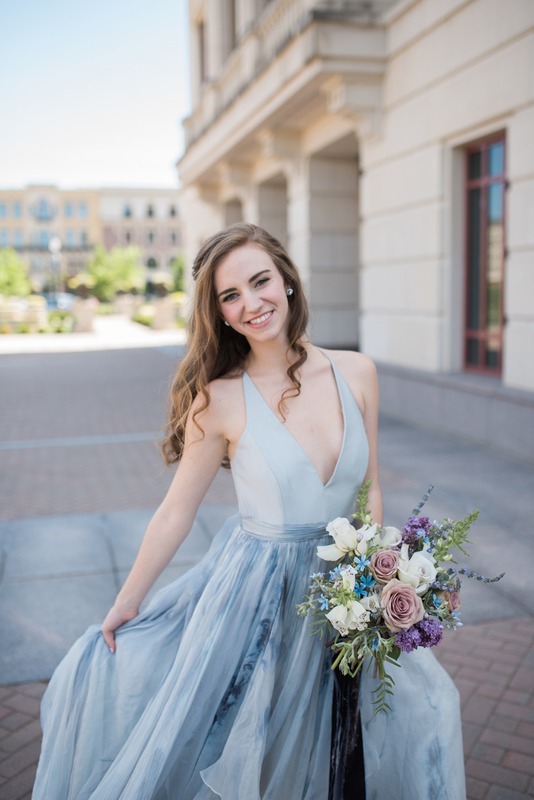 From Megan: We became friends, and then a couple weeks later we went on a date to brunch, which turned into drinks, and then turned into dinner! We spent the whole day together and had the best time. We’ve been eating all of our meals together ever since. 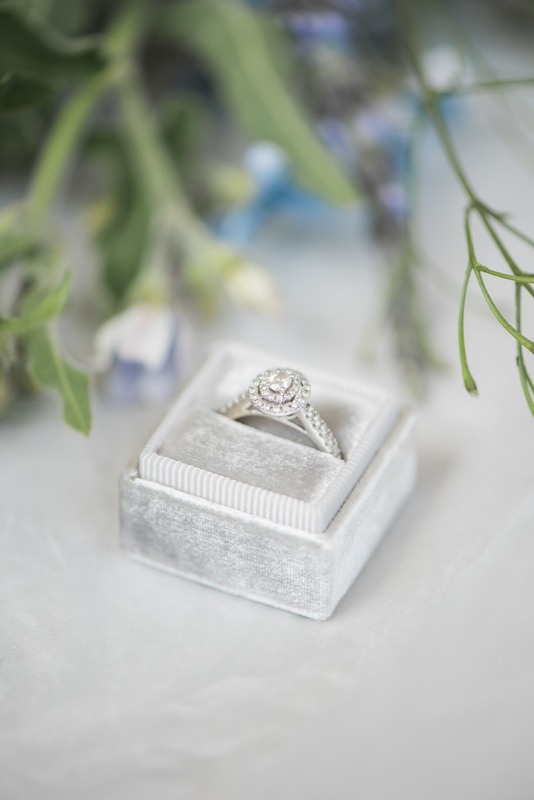 Paul proposed to me on Christmas morning, at my parents house! On Christmas morning, my family gets up really early, and passes out the gifts from under the tree for us all to open. As my sister was handing me a big box, Paul grabbed it and said I needed to open it later! I was so confused! After opening all of our other gifts, Paul took the big box and asked me to come with him into a different room. He told me I could open the gift now! I opened the box and there were pictures of us taped all around the inside of the box, a note, and a little tiny box in the corner. I opened the note first, which had a sweet message in it, and then Paul took out the box and got on one knee! I couldn’t believe it! I didn’t cry either, which I definitely thought I would have. 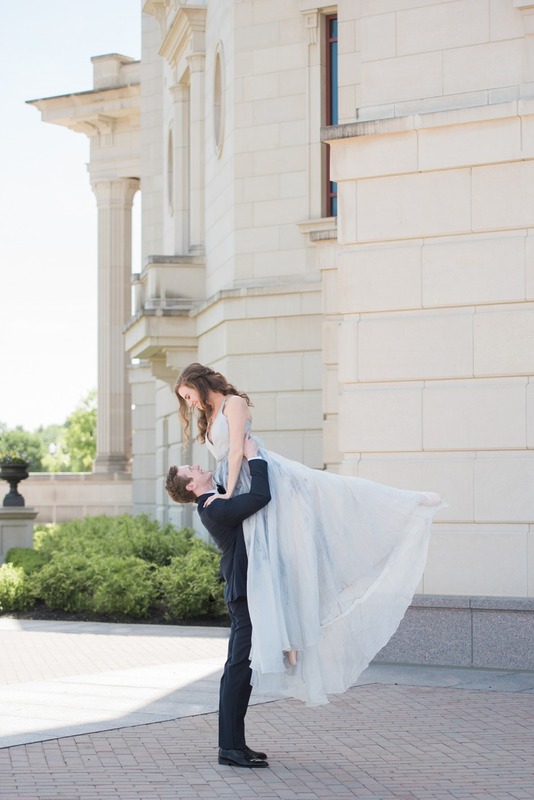 I was just so happy and so excited that he wanted to spend the rest of his life with me! I should also mention, Paul was really sick with the flu during all of this. He asked my Dad for my hand in marriage while he had a fever! My Dad told me later that Paul was sweating so much, and he couldn’t tell if it was because he was nervous or if it was the fever! 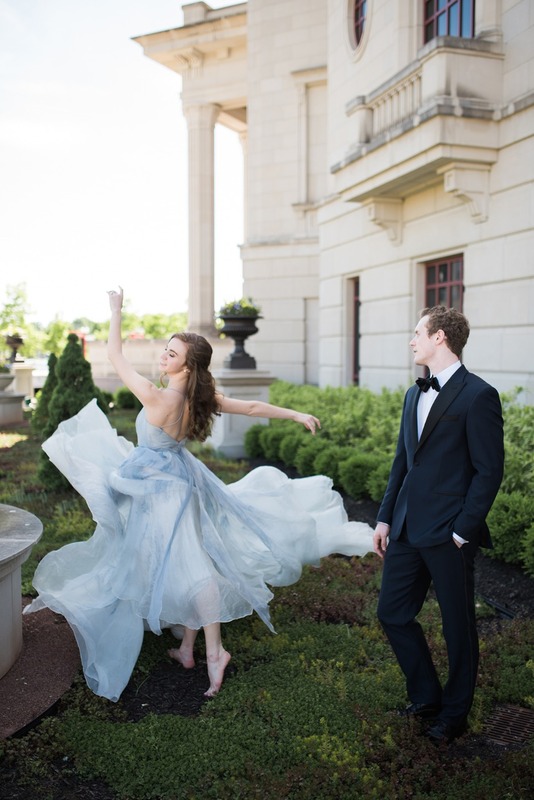 As artists who train and perform together, Megan and Paul spend as much as eight hours a day dancing with each other. 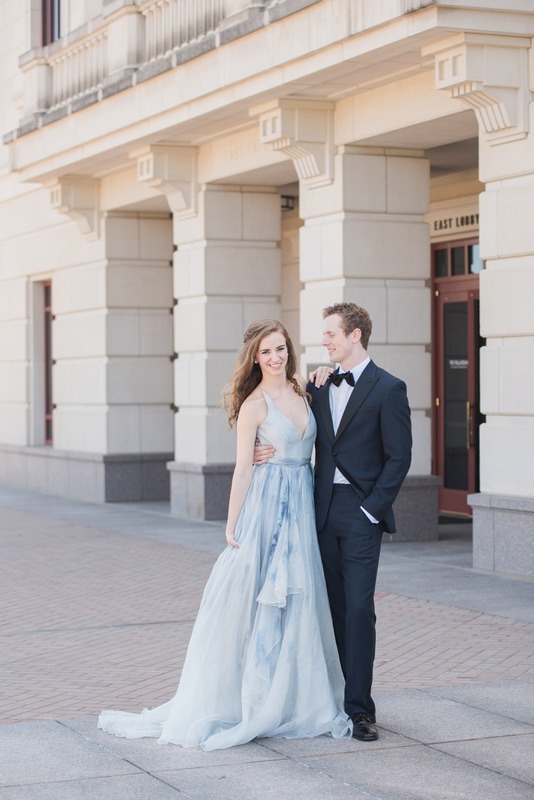 For their engagement session, we wanted to include this central feature of their story and their life together. 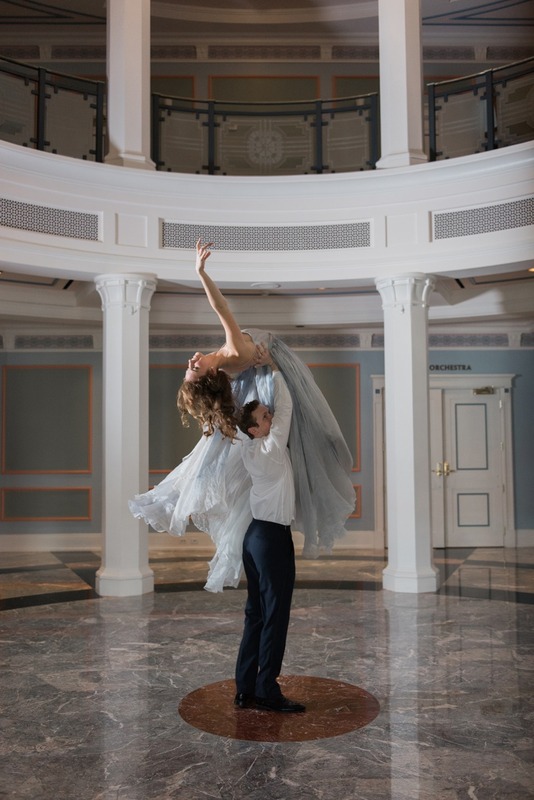 It was fortunate for us that the Palladium Center for the Performing Arts was recently built in Megan’s hometown of Carmel, Indiana. 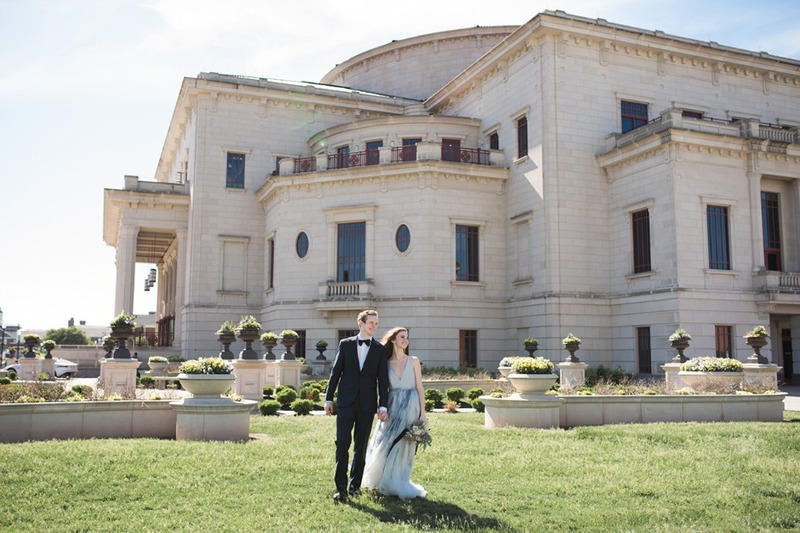 With it’s tiled roofs, pillared balconies, and warm white stone, the building looks straight out of Tuscany, and you’d never guess it’s in the heart of the Midwest. 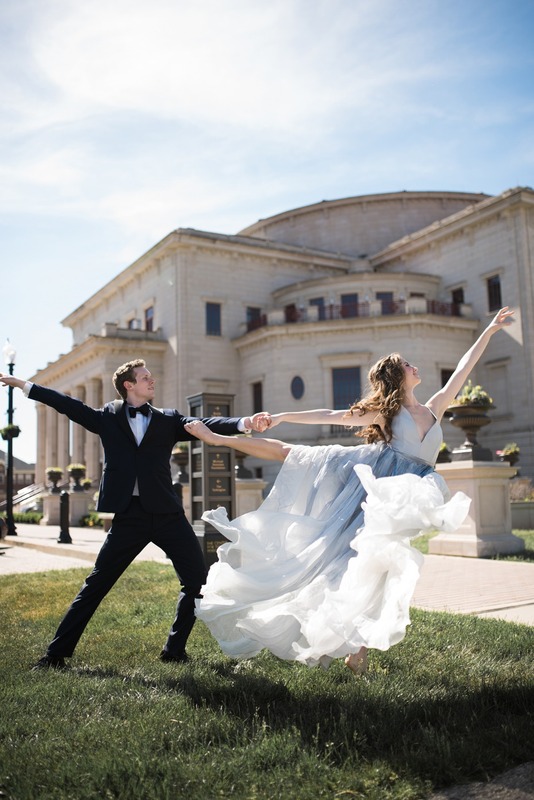 The Palladium’s Italian Renaissance architecture had the perfect blend of elegance and romance for a ballet engagement session, and we wanted to create a fresh modern interpretation of Renaissance beauty to enhance this aesthetic. 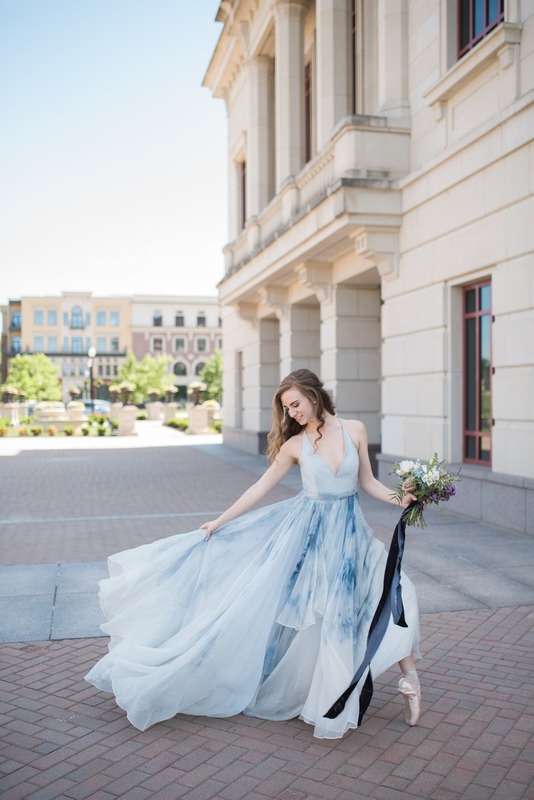 When you are looking for soft, romantic gowns with lots of movement, Leanne Marshall is as good as it gets! 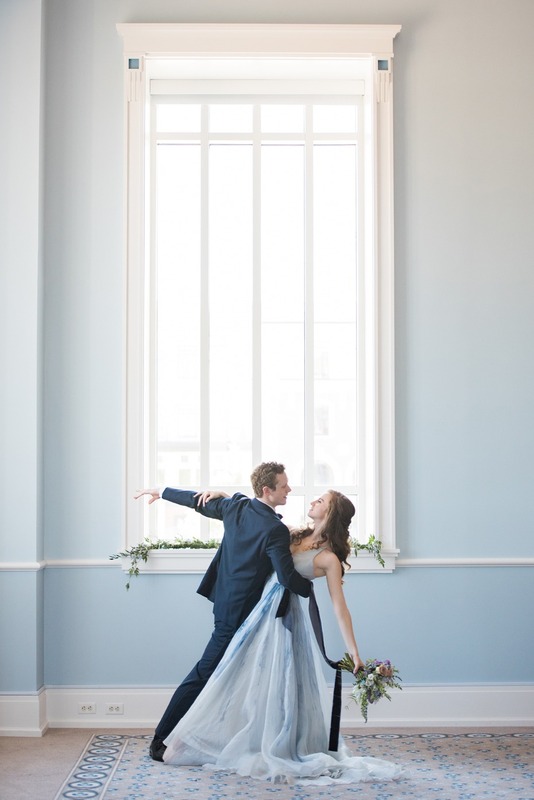 Megan’s Raincloud gown gave us a full, flowing skirt and clean silhouette to highlight the beauty of her dancing. 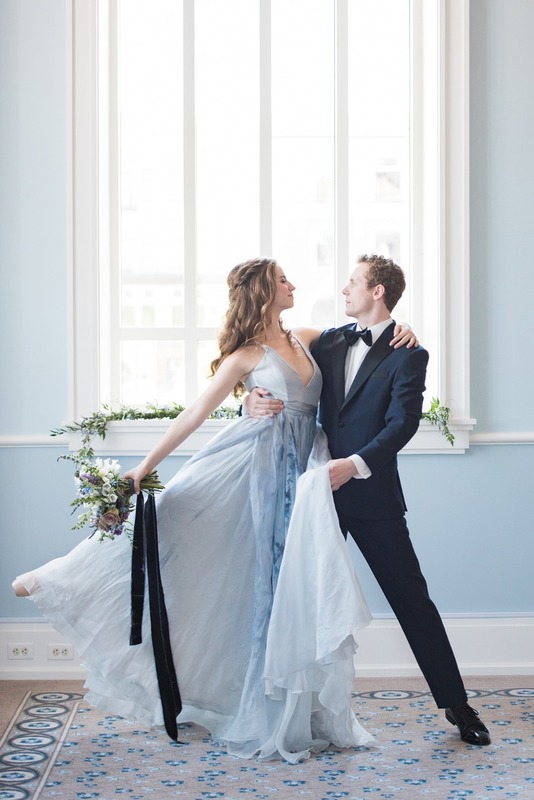 Paul's midnight blue tux was a softer take on the black tie look and made him the perfect leading man for his ballerina. 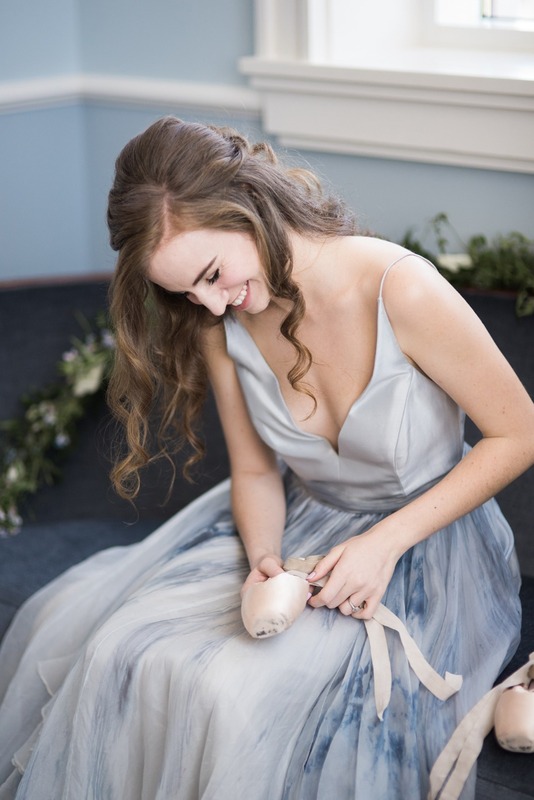 To complete this romantic, old world look, we kept Megan’s look simple and pure with soft, glowing makeup, and a half-up hairstyle that allowed her naturally wavy texture to shine. From Megan: We are getting married on Hilton Head Island, South Carolina next summer! 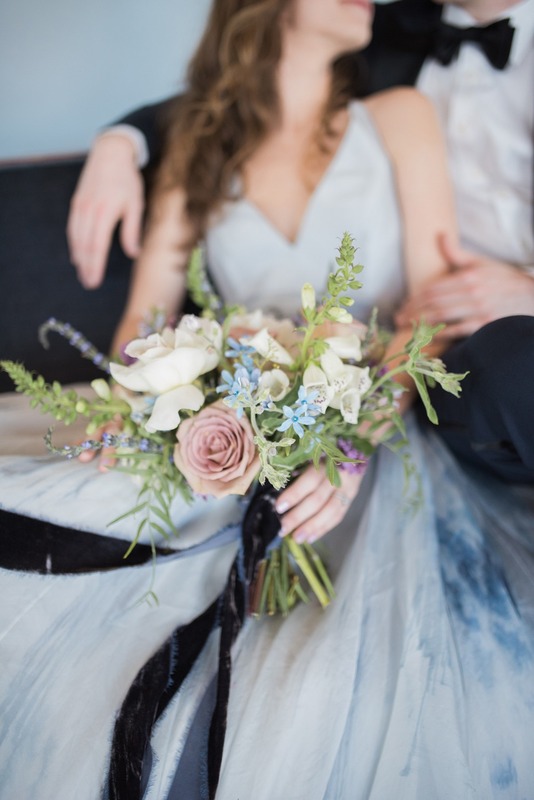 We want a more intimate wedding, with close friends and family. We will be getting married on the beach, with the reception in the dunes. 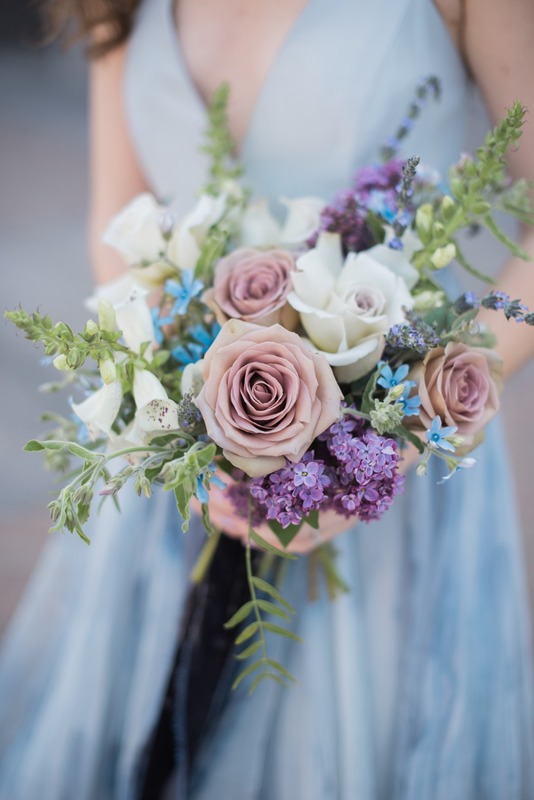 We are loving the colors that we used in our engagement shoot, and plan to implement them in our wedding as well. I am imagining our day to be fun, laid back, and full of love!